on July 10, 2017, 8:00 AM at the Fountain Area. 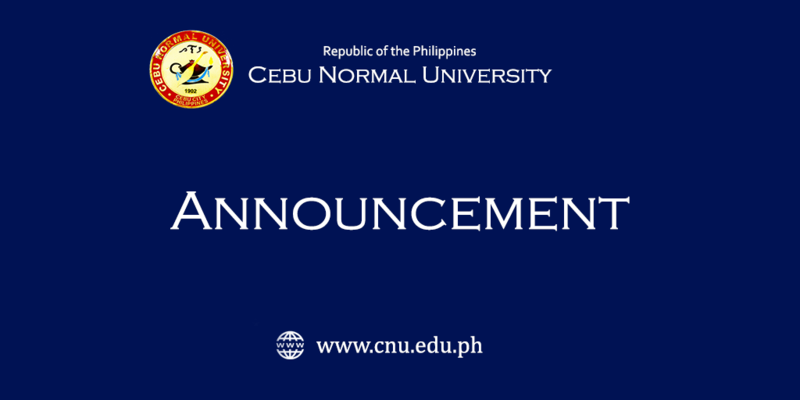 Cebu Normal University was established in 1902 as a provincial normal school and a branch of the Philippine Normal School. It became an independent institution in 1924, a chartered college in 1976, and a university in 1998. It is one of the oldest educational institutions in Cebu. CNU has three campuses, the main campus in Osmeña Boulevard, Cebu City and two extension campuses in Medellin and Balamban.